​Weed eaters are a must have for families with yards and extensive lawns to keep them manicured and pleasant to the eye. 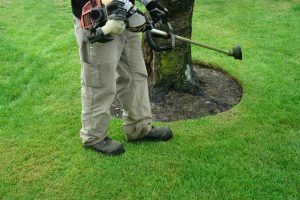 Although it takes a lot of work, owners should be responsible in ensuring that their yards are well maintained for both safety and aesthetics. 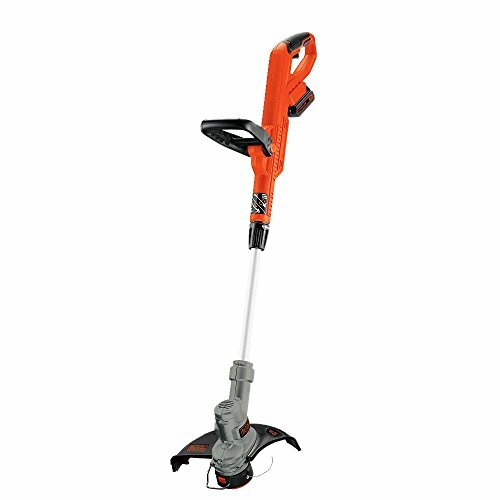 ​What are the important aspects of the Black & Decker ST7700 Automatic Feed String Trimmer and Edger? ​What other things should you know about the Black & Decker ST7700 Automatic Feed String Trimmer and Edger? 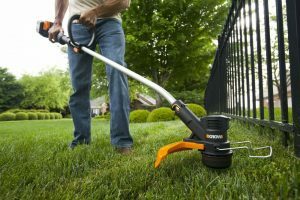 ​What’s the best way of having a clean-looking lawn than using the Black & Decker ST7700, $36.21? 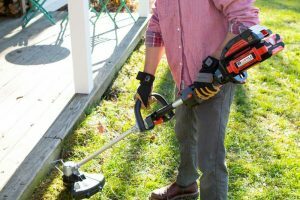 In this Black & Decker weed eater review, we will discuss its pros and cons and why it may just be exactly what you are looking for. The Black & Decker ST7700 is an electric string trimmer, which uses a safety cord for power. It features a retention system to guard against unintended unplugging of the tool while you’re using it. Black & Decker is also famous for its cordless trimmers that run through lithium-ion batteries. 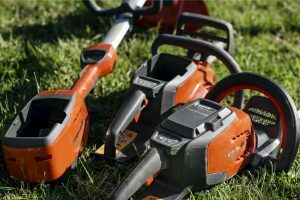 Electric trimmers are the way to go if you don’t like the hassle, the smoke, and the heaviness of a gas-fueled trimmer. However, if you detest having limited movement because of the cord, you can opt for a cordless trimmer. This trimmer is smaller than the “regular” ones out there because its main purpose is for maintenance. Therefore, it is also lighter and more likely to trim hard-to-reach areas. It weighs about 4.5 pounds, making it a breeze to wield and use. It is easy to handle because even though it is considered light, the materials are quite very solid. 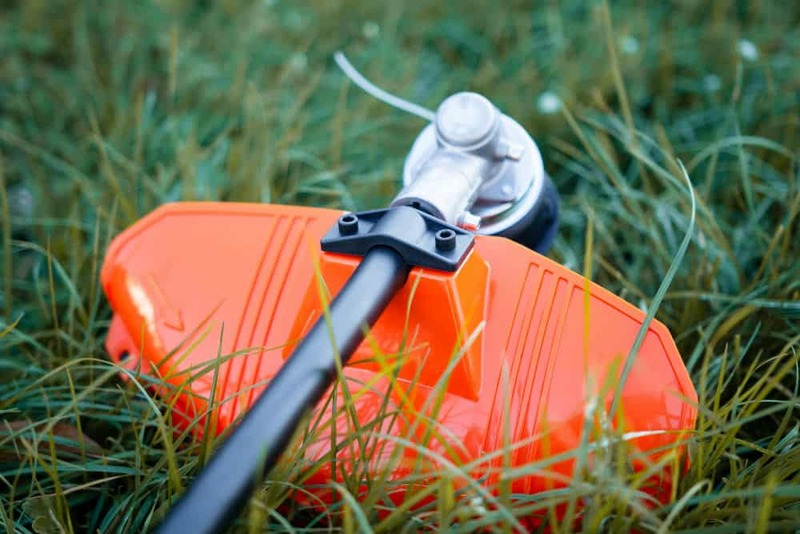 The small head where the string trimmer is located is designed for post-mowing maintenance edging and trimming grass in hard-to-reach areas. 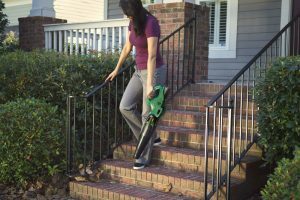 It has a 13-inch diameter reach so you can quickly finish your job and get on with doing more important things like relaxing with your family. It also has a 180-degree rotating head, used for converting trimming work to edging work. The Black & Decker ST7700 is equipped with a 4.4 Amp motor that spins the line at a speed of 10,000 RPM; enough to tackle enduring overgrown grass and weeds. Make sure to cut long grass one section at a time to avoid it tangling with the head of the blade else it can get stuck. Another feature is the Automatic Feed Spool (AFS) design that reduces bumping as the cutting string advances. Because of its lightweight body, you’ll be able to use it without worrying about muscle strains. It is also easy to control so you’re sure that all grass that needs to be taken care of are gone. The built-in auxiliary handle provides maximum comfort and control and the mere five pounds weight makes it your best buddy for your weekly grass length maintenance. Black & Decker promises that this feather-light string trimmer allows for less fatigue and more control. Unlike other trimmers that come with external attachments for more function, this one doesn’t come with any of it. However, you’re able to use it as both a trimmer and edger in one. This product comes with a two-year manufacturer’s warranty to give you peace of mind. Parts and repairs will also be covered, depending on the store where you have bought it so make sure to ask. Black & Decker has good customer support via email and telephone and their website is also helpful for answering basic questions. Before purchasing any product of this type, check if there are service centers near you, so in case your run into problems, you won’t have difficulty reaching them. Assembling the machine takes only a few minutes of your time as well as starting it up. With just one pull, you’re ready to use your trimmer. Keep in mind that this trimmer is not made for heavy-duty work; it is for post-mowing maintenance and cutting weeds here and there. People have complained about the spool and the line being eaten up quickly, as well as overheating and smoking. For your safety, do not use it for long periods of time. Another aspect to consider that this is only for small yards is the fact that this is corded and connected into a power supply. It’s not meant to be taken out farther than your lawn and steps. Notwithstanding the cons, this trimmer works the way it should and the large diameter of reach can get the job done quickly. For the good reputation of Black & Decker, this machine is also very affordable. 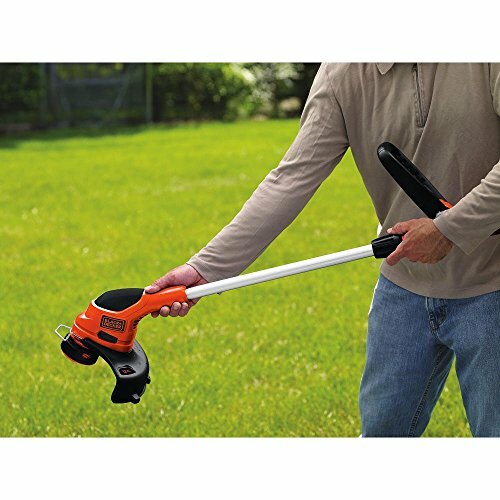 ​The Black & Decker ST7700 is recommended for smaller lawns, yards, and gardens. It is meant to be used for post-mowing maintenance and to clear grass off pathways. Using it other than that and for prolonged periods may cause you trouble as what owners have experienced. For the price, it’s a good choice if it will be used for its intended purpose. Otherwise, buy a bigger and more powerful one or you might regret buying this. 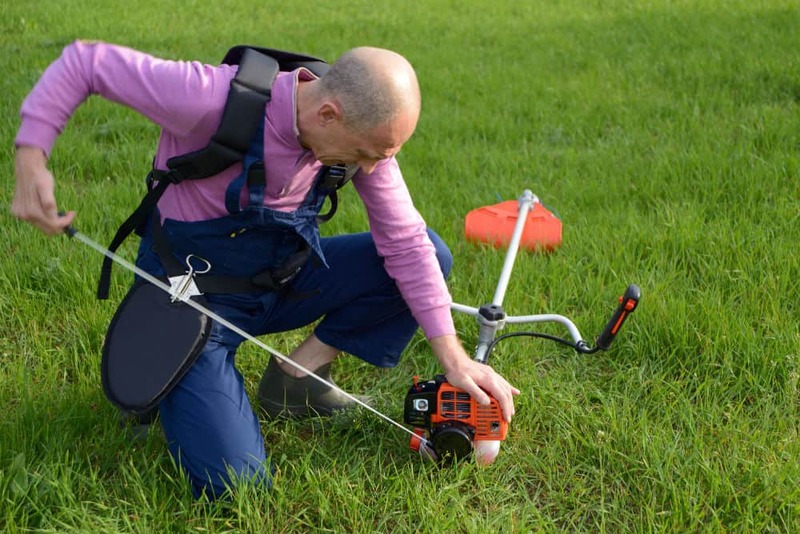 Also check our article on the "​What are the best Weed Eaters? ", for more ​weed eater choices. ​Having tall grass and weeds on your lawn, yard, or garden makes relaxing difficult because you wouldn’t be able to fully enjoy the nature and cleanliness around you. That said, owners of homes with wide lawns have made it a habit to regularly trim and cut pesky weeds for that manicured look. ​What are the important aspects of theBlack & Decker NST2118 Cordless Electric GrassHog? ​What other things should you know about the Black & Decker NST2118 Cordless Electric GrassHog? ​If you are looking for the right weed eater to maintain your lawn, the Black & Decker NST2118 might be just what you’re looking for. But before you go ahead and purchase this trimmer, make sure that it has everything you need. This trimmer is a type of electric trimmer that is not limited by a cord. Being cordless, it runs using two 18-Volt NiCad batteries. This is good for people who don’t want their movement to be limited by a cord as they can freely traverse larger areas through this. 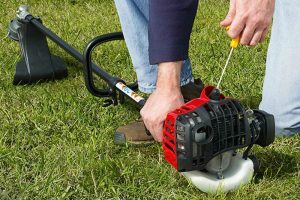 Cordless trimmers are suitable for owners with large yards and lawns that couldn’t afford to drag a long cord behind them. Other types of trimmers are gas and electric-corded trimmers. 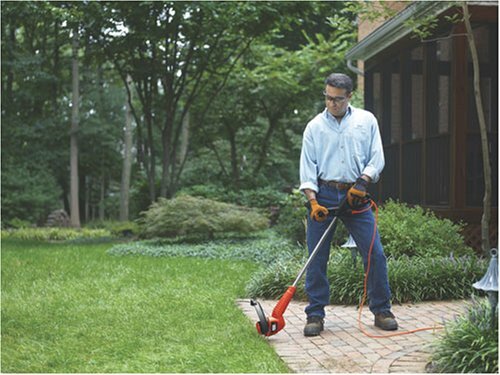 Gas trimmers are for heavier use as the fuel powers up the engine more while corded trimmers are suitable for trimming a small area, for post-mowing maintenance. 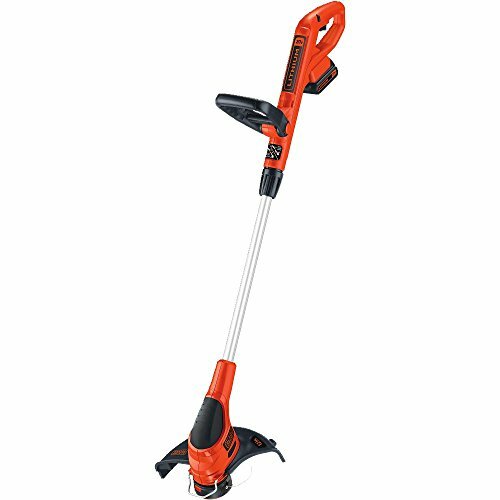 For a battery operated trimmer with a decent cutting path and power, the Black & Decker NST2118 is lighter compared to its peers. This trimmer only weighs 6.4 pounds and can be easily wielded and controlled. 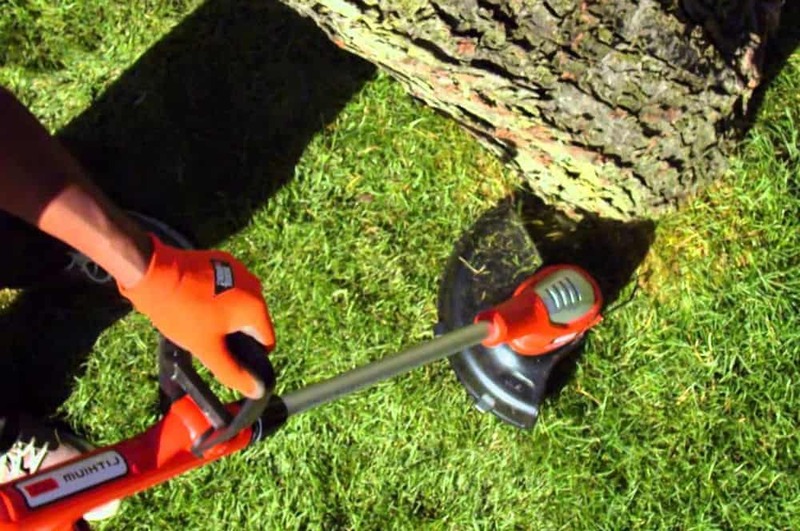 As for the size of the trimmer itself, it is considered to be in the medium category, but still packs a punch with dealing with stalky weeds and grass. 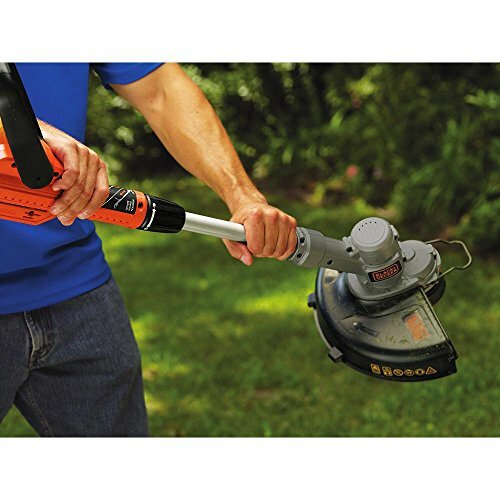 The Black & Decker NST2118’s exclusive PowerDrive transmission ables the motor to deliver more power into the cutting string so you’ll be able to finish a large area faster, giving your more time to relax and enjoy outdoors with your family. The batteries also enable users to reach more areas away from power supply to make sure that every inch of your lawn is trimmed and manicured. This trimmer also features a Groom'N'Edge head that can be rotated 180-degrees for quick switches between cutting and edging tasks. There is also the so-called Automatic Feed Spool (AFS) system, known to be a main feature in Black & Decker trimmers, which uses centrifugal force to dispense more line whenever you need it for added predictability and dependability. 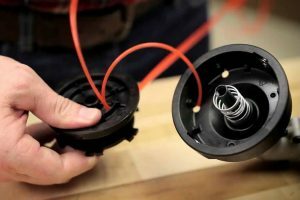 This trimmer easily starts with the pull of a trigger; you don’t have to trouble yourself with several pulls to start it, unlike gas trimmers. 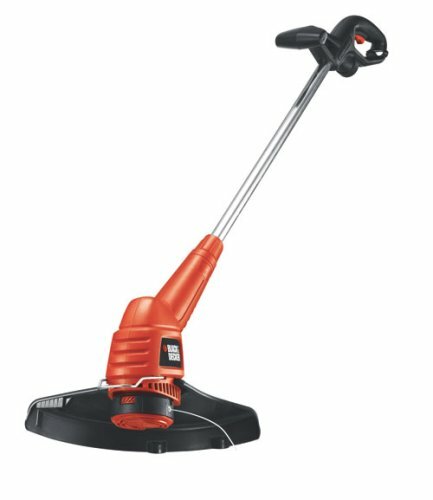 Although considered to be in mid-weight in the world of trimmers, the Black & Decker NST2118 is very easy to handle and carry with your for long periods of trimming. The best part for comfort is its telescoping pole that enables you to adjust it to your preferred height. This gives your back a huge favor, considering the weight you have to carry. Being cordless, you also won’t be limited or bothered by a cord behind you. Meaning, you’ll be able to reach more areas without added worry. This trimmer doesn’t come with any attachments that will make it function more than a trimmer and edger, unlike other products/brands out there. This shouldn’t be considered as a deal breaker, however, because the Black & Decker is still capable of properly doing its job. The package comes with an external battery charger that plugs easily onto a household outlet and is Energy Star qualified for energy efficiency. This trimmer is backed by a two-year warranty. It comes with a helpful manual for helping you put together your machine, as well as help and support via online and telephone. Putting it together is fast and easy; all you need to do is follow the instructions in the manual that comes with it. Afterwards, starting it can be done with just one pull. Since this is a medium sized trimmer, you might have trouble with hard stalks and tall grass as well as large clumps of weed. Be careful as it might damage the cutting string. Make sure to take cutting one step at a time. The battery holds a good charge, although some owners have complained about the lack of efficiency of their batteries. This might be associated with a poor one, and you can get your machine easily swapped if this is the case. The charge should hold up at least with an hour. Charging it can be a pain though, as it takes about nine hours. If you aren’t planning to use your trimmer for long periods of time, then the cordless Black & Decker may fill your needs. It can be brought all the to far locations without power source and effectively cut and edge grass. However, if you’re searching for a trimmer with more runtime without having to stop to charge for an entire day, you can choose to get a corded one or a gas-fueled one. Each has its own pros and cons, but it heavily depends on usage and needs. Take time to read about each one before purchasing. 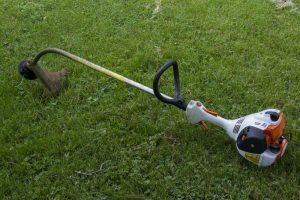 You may check out this related article,"​​What are the best Weed Eaters?" for more ​weed eater choices.